On January 17th I launched a series on identifying and talking about fascism. I have a degree in sociology, so sometimes I forget just how poorly educated the American public is on this topic. I didn’t think the American public would rally behind a candidate openly making fascist comments. I don’t aim to predict what kind of presidency Trump will have, regardless, the rise of fascism among his supporters is equally disturbing. After 11/20, I spent a great deal of time brushing up on the history of fascism and collecting sources from the American media that parallel the historical features of fascism. The American public is very clear on the dangers of the radical left—calling someone a communist won’t get her deported these days, but it is most often an insult. And there are plenty of representations in movies, TV, and music about what a radical leftist looks and acts like. But the counterpart on the right, fascism, gets little representation beyond Nazis. But it is difficult to apply the culture of German fascism to American culture. When American white supremacists say using Nazi symbols is a “joke,” they are likely sincere in that American fascists don’t genuinely support the German state and its symbols (just the racism). The symbols of American fascism are the symbols all Americans hold dear: rock and roll, apple pie, the American flag. I hope this space can be a place for dialogue on the left and right. It’s not my intention in these posts to condemn conservative values. Rather it is a space to make a distinction between true conservative, patriotic Americans and a growing contingent of conservatives who disregard logic, democracy, justice, and freedom. The Myth of Progress – Is Fascism Left-Wing? An introduction of sorts, this post answers a common question about fascism and explains how we got into this situation. What they taught us in high school history classes was accurate, but they left out some important details. This post has a general definition of fascism, with the detailed stuff to come. No Trump in this one. If Fascism Is Left-Wing, Why Were the Nazis Socialists? 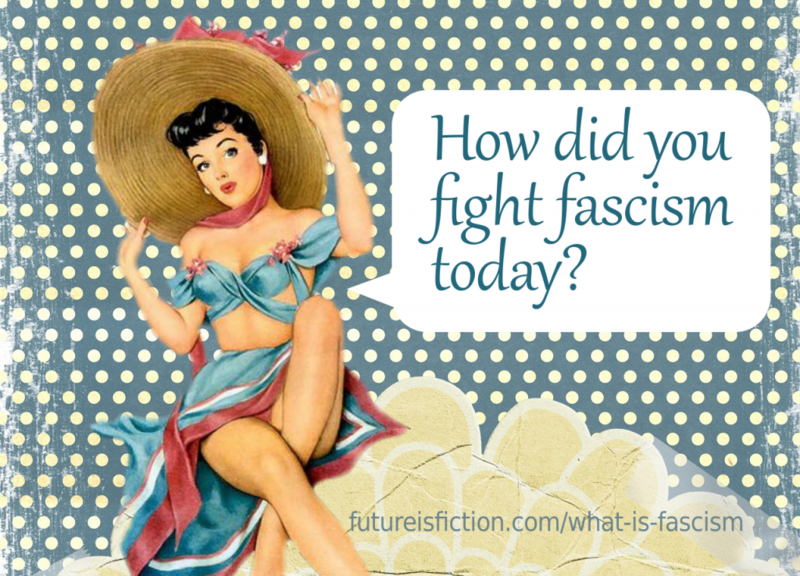 This post is about the historical roots of fascism. It tackles the misconception that fascism must be liberal because the Nazi party was the national socialist party. I found it important to include this because many Americans think it is impossible for Trump, or any conservative to be fascist. A detailed definition of the fascist philosophy, which will be the backbone of the individual forthcoming posts on different aspects of fascism.